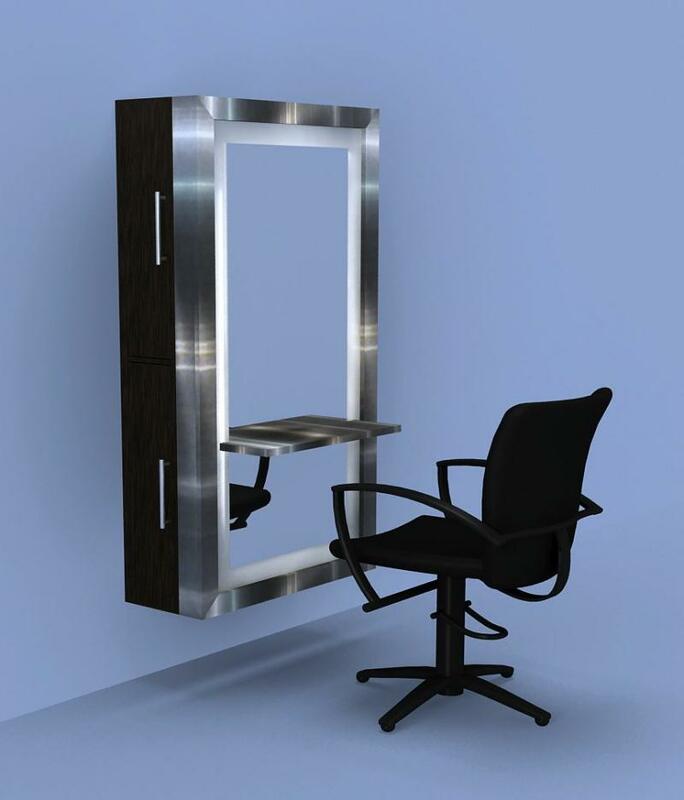 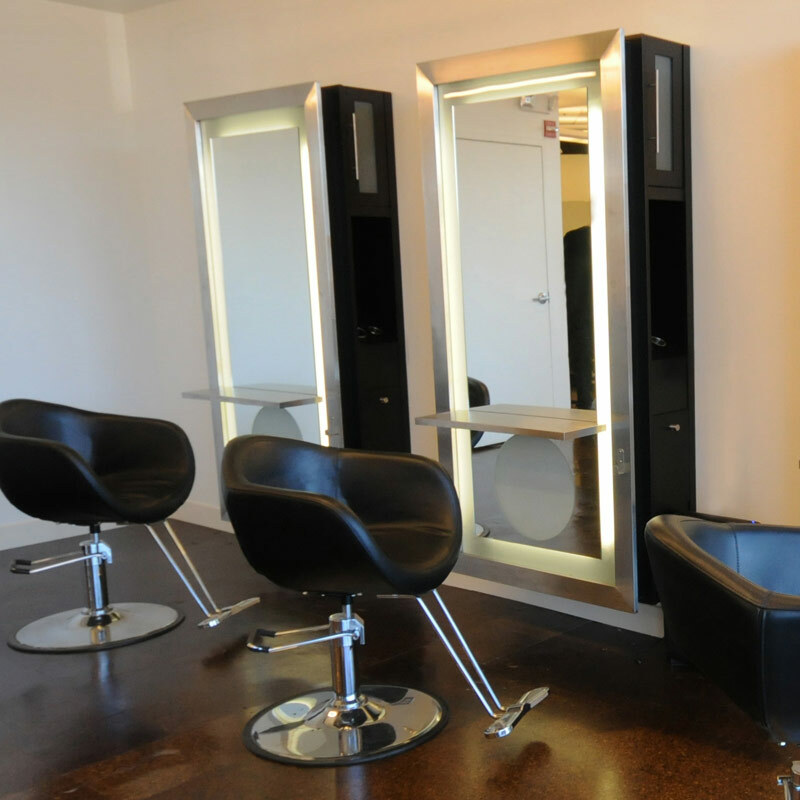 The Wimbledon Wall Styling Station is a sleek piece for any salon space. 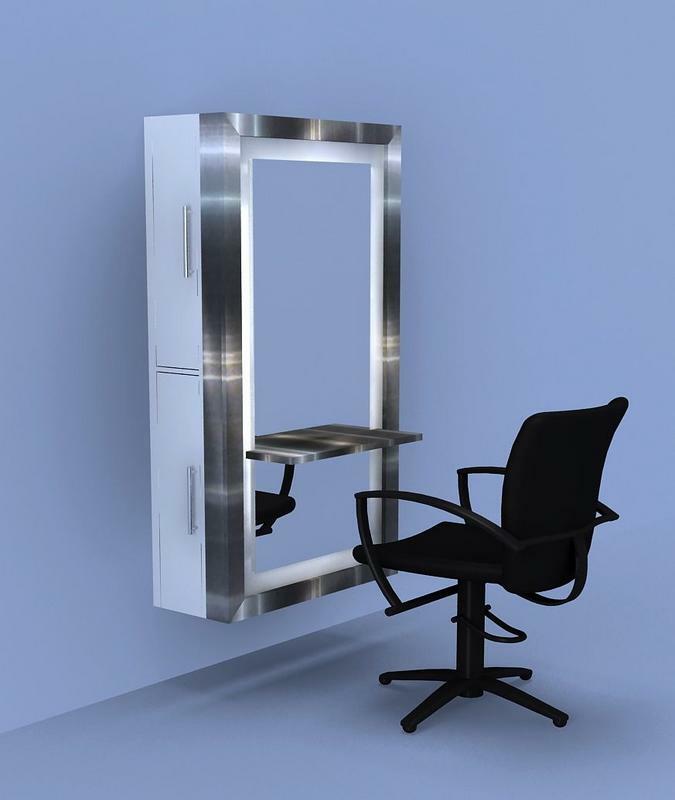 LED Illumination, tool holder and storage space, this mirror comes in a variety of options and colors to suit your needs. 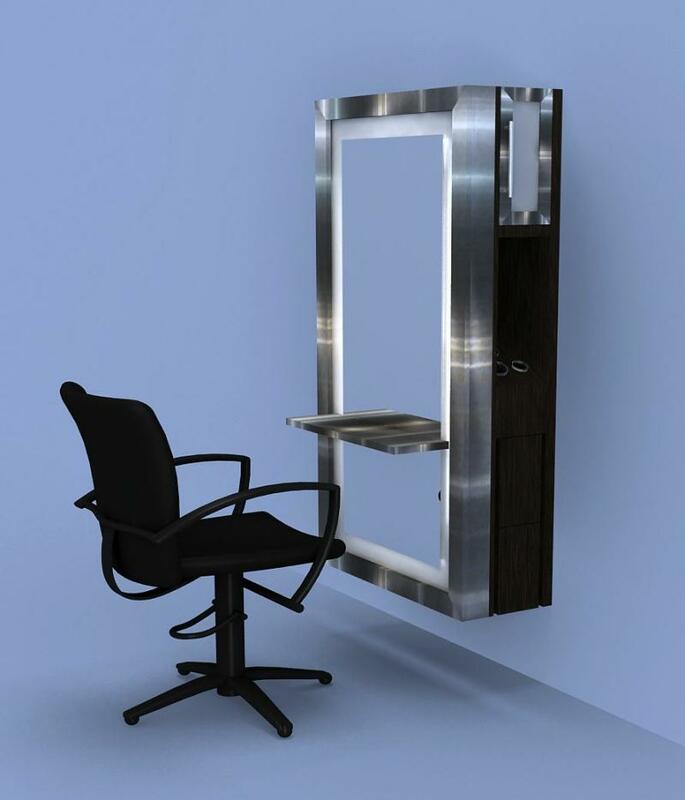 Courtesy glass and stainless steel shelf upgrades are available.